Today I have a card I’ve made for a swap with UK stampers forum. The theme for the card is Halloween. I inked up the panel using Seedless Preserves and Spiced Marmalade distress oxides. I then added some splodges of water and dried off the panel. I then used a stencil to add the cobweb. Next I embossed the sentiment using Black embossing powder. 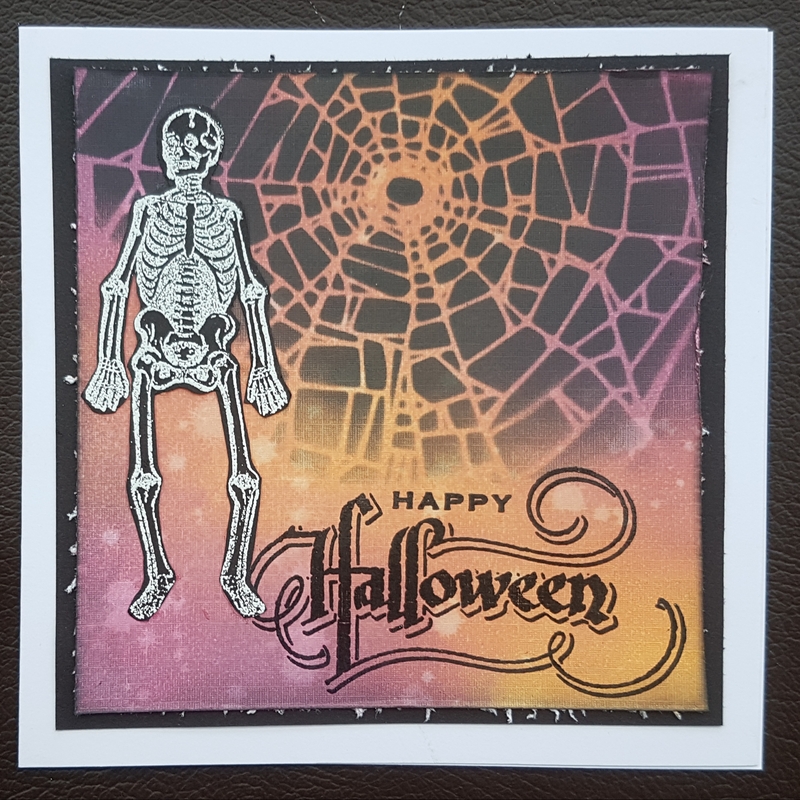 The skeleton I then heat embossed using white powder onto the black cards and cut it out. I added it to the card using the pinflair glue gel.